minecraft steampunk | Surviving Minecraft, Minecraft Adventures! 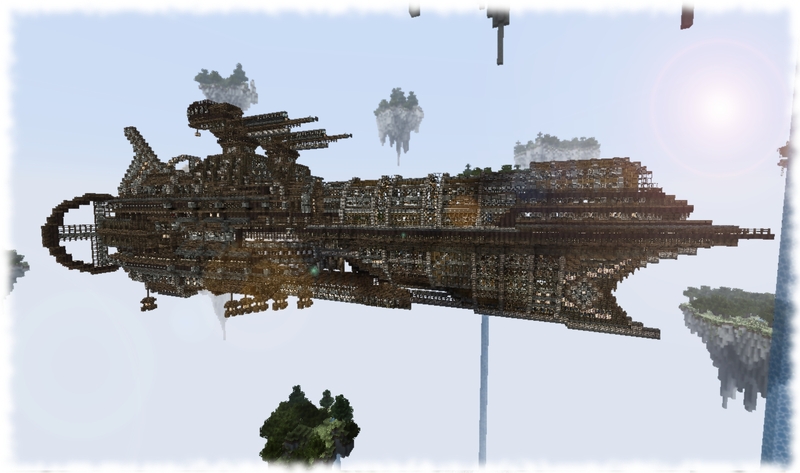 This ironclad airship (which stays in the air because minecraft physics) is as intricate as it is Steampunk. Not only is it impossible to shoot this ship down, it’s techincally impossible to fly it, although that probably won’t bother you too much when you’re standing on the bridge making airship noises (50% rushing wind 50% coal powered engine block). This entry was posted in Minecraft Blueprints, Minecraft Builds and tagged minecraft airship, minecraft steampunk on August 26, 2013 by Hope. 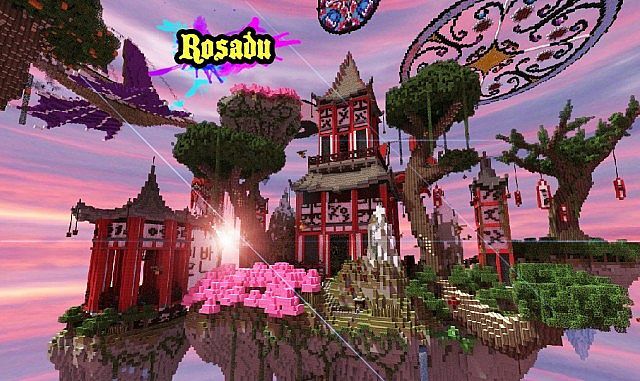 A magical minecraft where Asian style meets steampunk aesthetics, Rosadu is a fantasy minecraft download suitable for both single and multiplayer set ups. With stunning Chinese style builds inthe form of temples, and Avatar style floating islands, this is a map designed to thrill the imagination. This entry was posted in Minecraft World Save Files and tagged asian minecraft map, minecraft steampunk on April 26, 2013 by Hope. Are you ready to feel tears of sheer joy and amazement spring to your eyes as you realize minecraft’s true capacity for creating beauty? This entry was posted in Minecraft World Save Files and tagged minecraft build download, minecraft steampunk, minecraft town download on January 1, 2013 by Hope.